SANTA FE, Texas (AP) — Only weeks ago, a dozen students from Santa Fe High School in Texas offered support for survivors of the Parkland, Florida, school shooting by participating in a nationwide walkout seeking stricter gun control. Investigators offered no motive. In a probable cause affidavit , however, authorities said the suspect admitted to the shooting. Zachary Muehe, a sophomore at the school of roughly 1,400 students, was in his art class when he heard three loud booms. At least one person was killed and another injured Friday night in a shooting that followed a graduation ceremony in Jonesboro, Ga., authorities told Fox News. Cruz was living with the Snead family on Loxahatchee Road in Parkland when he killed the 14 students and three adults at Marjory Stoneman Douglas High School on Feb. 14. • Cruz texted the Sneads’ teenage son, who was in class at Douglas, around 2 p.m., about 20 minutes before Cruz started shooting. Cruz asked what class the son was in and who the teacher was. The son said the teacher was one of the coaches. Cruz texted the son to ask the coach if he remembered Cruz. The coach was not one of the people Cruz shot. The problem with the media about these incidents is that they do not have the fear of God nor know the way of peace. After Parkland, there were several ‘solutions’ proposed to stop future shootings. There have been many school shootings. The shooting at the Marjory Stoneman Douglas High School in Parkland, Florida, resulted in 17 deaths. But also has brought out various calls for change. In this video, Dr. Thiel explains why seven ‘solutions’ have not worked. These seven include involving the Federal Bureau of Investigation (FBI), school warnings, psychological counseling and medications, armed school guards, first responders, gun control, and boycotting the National Rifle Association (NRA). Dr. Thiel explains why we have seen more such shootings and why more violence is expected based upon biblical prophecies. He also explains the only real solution to bring peace. Here is a link to our video: High School Shootings: 7 Failed Solutions. None of the solutions proposed related to Parkland by the mainstream would have prevented the latest two shootings. For example, while various gun bans have been proposed, there was not a proposed ban on shotguns, like was used in Santa Fe, Texas. 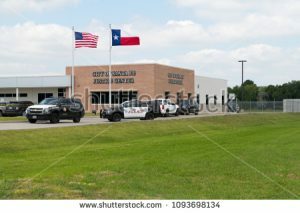 To mention another ‘solution’, better background checks would not have stopped what happened in Santa Fe, Texas. The problem is moral decline and lack of proper fear of God. This has impacted pretty much all of American society. We continue to see shootings and other terroristic acts. The further that the USA moves away from biblical morality, the more violence we will see. National repentance is what the USA needs. But since that is not likely, the real solution is the Kingdom of God. 1 But know this, that in the last days perilous times will come: 2 For men will be lovers of themselves, lovers of money, boasters, proud, blasphemers, disobedient to parents, unthankful, unholy, 3 unloving, unforgiving, slanderers, without self-control, brutal, despisers of good, 4 traitors, headstrong, haughty, lovers of pleasure rather than lovers of God, (2 Timothy 3:1-4). Terroristic murders are brutal. Many are boasters, proud, without self-control. Many shooters also want publicity, like that is so important to murder for. A worse time of ‘tribulation‘ is coming (Mark 13:19) and is getting closer. High School Shootings 7 Failed Solutions There have been many school shootings. The shooting at the Marjory Stoneman Douglas High School in Parkland, Florida, resulted in 17 deaths. But also has brought out various calls for change. In this video, Dr. Thiel explains why seven ‘solutions’ have not worked. These seven include involving the Federal Bureau of Investigation (FBI), school warnings, psychological counseling and medications, armed school guards, first responders, gun control, and boycotting the National Rifle Association (NRA). Dr. Thiel explains why we have seen more such shootings and why more violence is expected based upon biblical prophecies. He also explains the only real solution to bring peace. This is a video. This entry was posted on Saturday, May 19th, 2018 at 7:45 am	and is filed under Doctrine. ‘March for Our Lives’ rally, but . . .